What does ""We Paid"" mean? Forbes Travel Guide performs independent, incognito inspections of all hotels we rate. This is what we paid when we stayed at this hotel. Rates can vary widely by room type and season. "We Paid" is intended to give a general sense of price, but you might find considerably different rates for your trip. When we book, we aim for the optimum season for the destination, but we avoid holidays and major public events, when prices are highest. We generally book a room at one category up from the most basic. We take advantage of promotional rates, when possible. That means the rate you see above might have included other benefits, such as spa or meal credits. 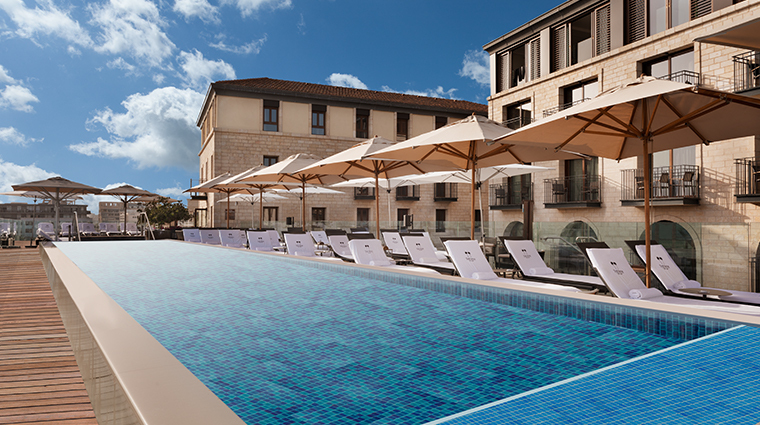 We are the only independent, global rating system for luxury hotels, restaurants and spas. We verify luxury. Our highly trained inspectors visit every property we rate, evaluating based on up to 900 objective criteria. Our hotel stays span a minimum of two nights. We pay our own way. No one can buy a rating; all ratings are earned through our objective inspection process. Our global team of inspectors are anonymous at all times, so they have the same experience as a typical guest. While we inspect both service and facility, our Star Rating system emphasizes service because your experience at a hotel, restaurant or spa goes beyond looks — how it makes you feel is what you will remember most. We created the original Five-Star rating system in 1958, when we were Mobil Travel Guide. These are outstanding, often iconic properties with virtually flawless service and amazing facilities. 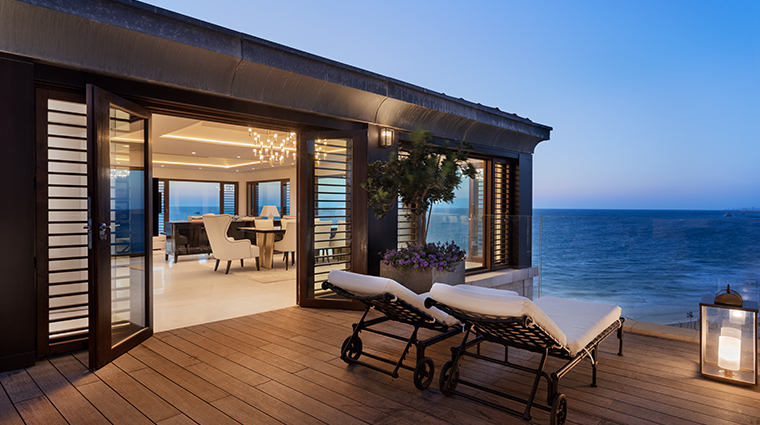 These are exceptional properties, offering high levels of service and quality of facility to match. These are excellent properties with consistently good service and facilities. As our highly trained, incognito inspectors work to assess properties, our editors check them out ahead of time and provide a sneak preview of what to expect. 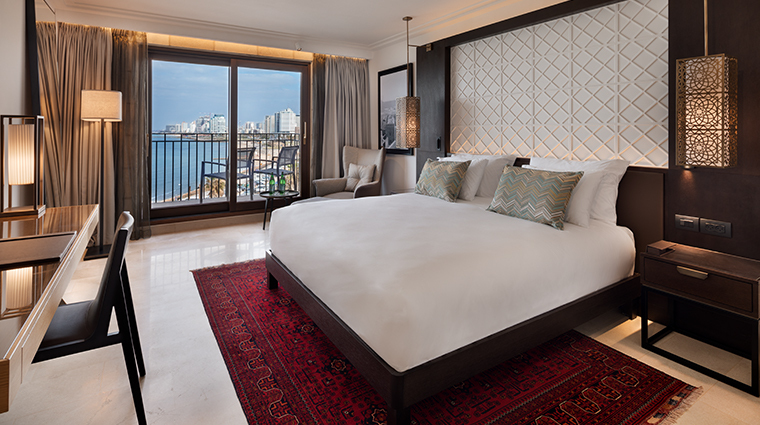 Set in historic Jaffa along the Mediterranean Sea overlooking the city’s stunning port,The Setai Tel Aviv combines the beauty of its ancient surroundings with a Middle Eastern elegance. 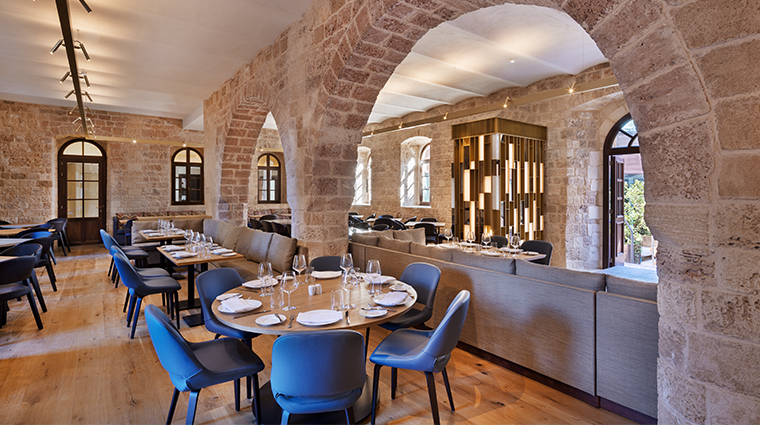 The restored 12th-century property was once a fortress and Ottoman prison, keeping the glorious mystery of the past intact while combining it with a modern Turkish flair. 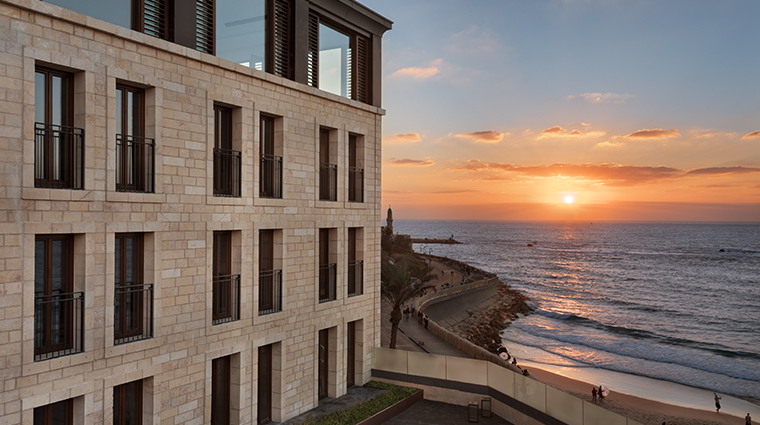 Spanning five buildings, the luxurious stay offers 120 rooms, all of which preserve the natural beauty and charm that Jaffa is known for without sacrificing any contemporary comforts. 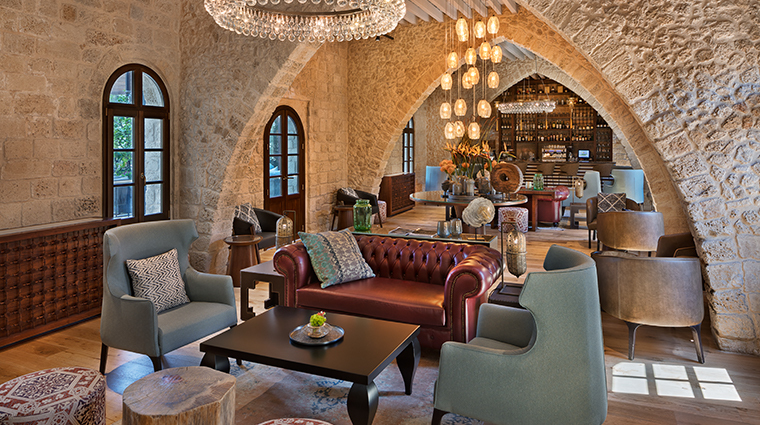 This stunning intersection between old and new is apparent in every detail between the stone walls, from the striking infinity pool on the rooftop and the restored Turkish hammam to the spacious courtyard bursting with light and even the well-preserved asymmetrical stairway that was once part of a Turkish police station. 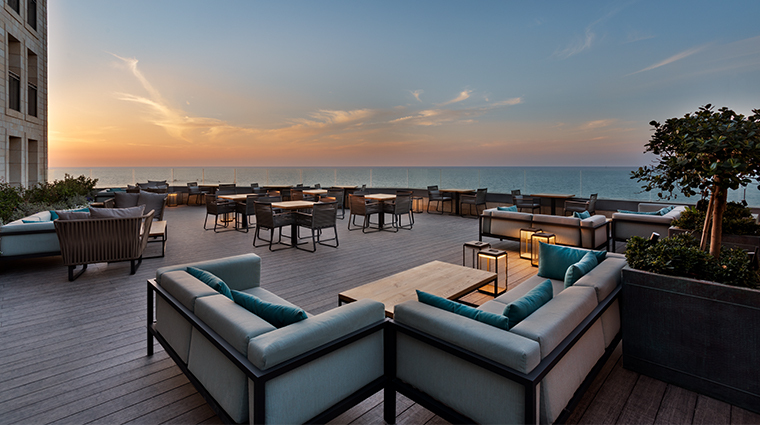 Finding a balance between Old World charm and sophisticated luxury, The Setai Tel Aviv is an oasis among the bustle of this modern metropolis. 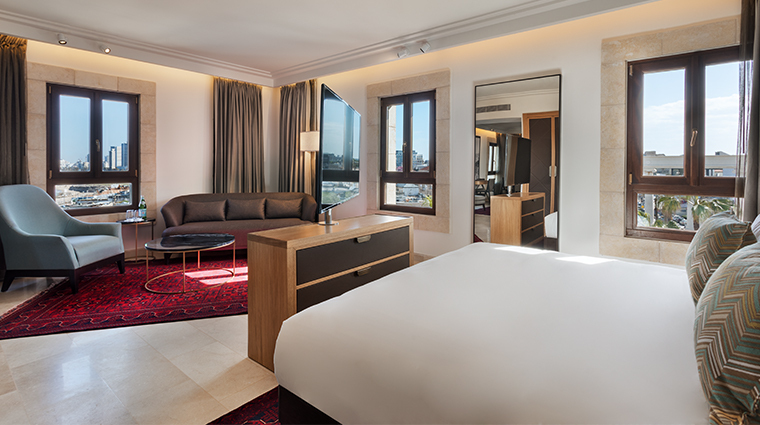 The Setai Tel Aviv is in one of the trendiest parts of the city, adjacent to the historic Jaffa Clock Tower. 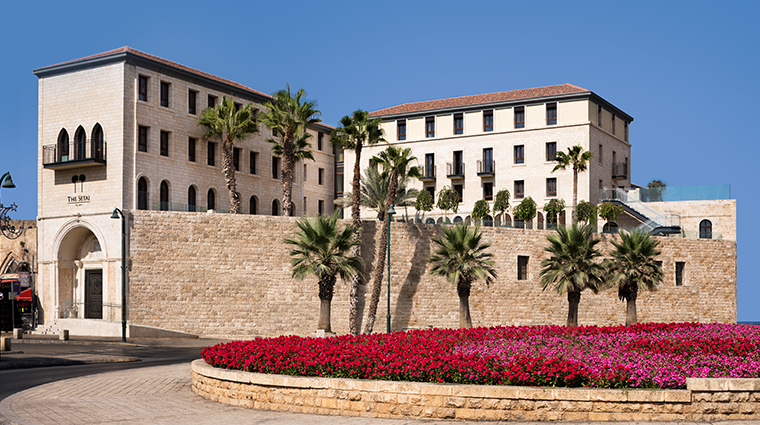 It is also close to Jaffa’s flea market (a vintage collector’s dream), a stroll away from art museums and galleries, local designer boutiques and one of the most beautiful lookout spots in the country. 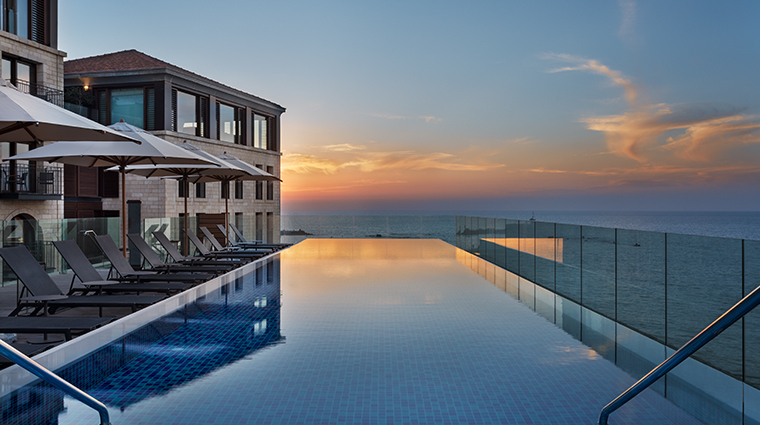 A stunning infinity pool overlooks the unbelievable beauty of Jaffa — every lap is echoed by the powerful waves of the sea in the background. 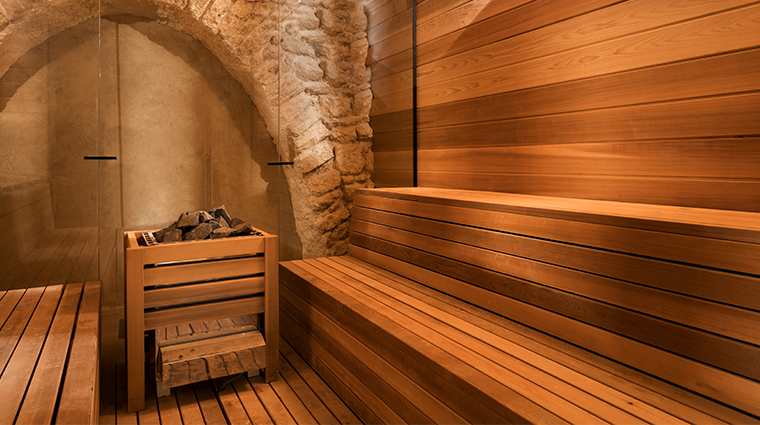 An abundance of massages, essential oil treatments and a spacious hammam makes The Spa at The Setai Tel Aviv the ultimate relaxation retreat. 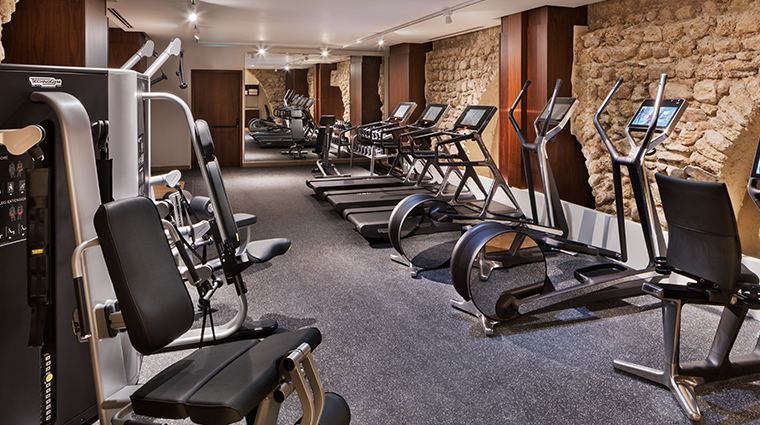 For fitness fans, there’s also a state-of-the-art gym on offer. The roomy accommodations reveal pristine elegance sprinkled with the beauty of the past. You can have it all here — rainfall showers, granite bathtubs, espresso machines, laundry services and leafy courtyards lined with olive and citrus trees. 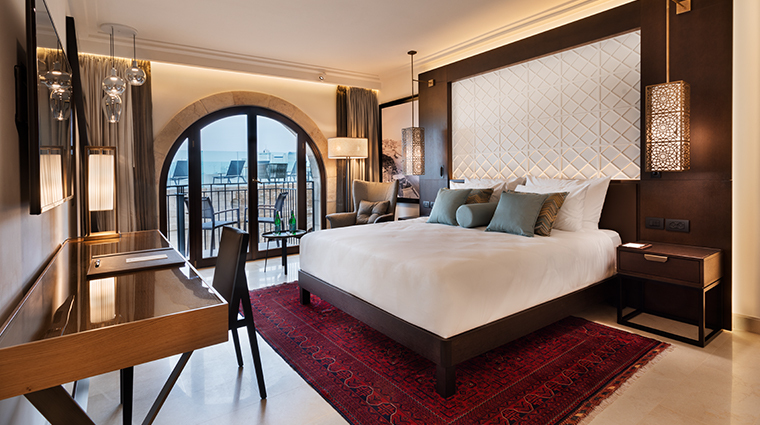 The Jaffa property underwent an extensive archeological dig before being transformed into a luxury hotel, and the fruits of the effort are on display around almost every corner. Look out for 12th-century coins and cups alongside a collection of late 19th-century Turkish weapons. There are two designated smoking areas for those who want to light up. Breakfast can be served in the open-air courtyard, which is an oasis of plants and serenity drenched with sunlight — it can get a little hot, so take that into consideration before snagging your spot. 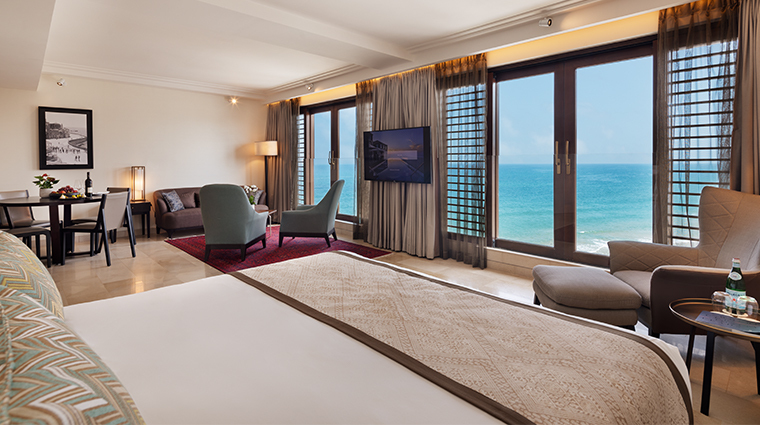 Those staying in a suite will enjoy access to the Mediterranean Lounge, a swanky spot that serves up wine, beer and snacks all day long. Archeology and design lovers will revel in the details here, as all the historic structures have undergone complete restoration and every wall, nook and corner has a story to tell. 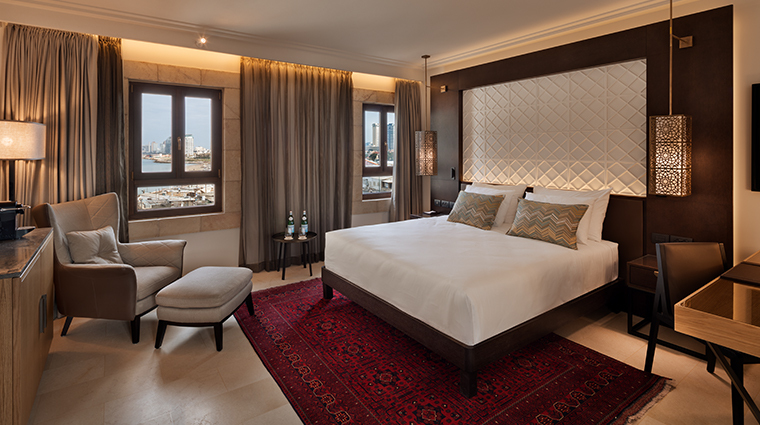 The cozy rooms are decked out in stylish red, brown and white hues thanks to gorgeous padded headboards, walnut-colored furniture and Turkish rugs. 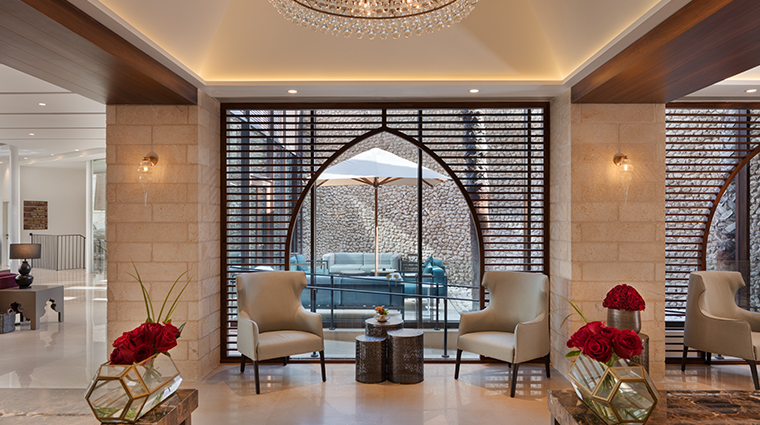 The design emulates a regal Ottoman elegance that creates a warm and majestic atmosphere to relax in. The bathrooms are separated from the bedrooms by an electronic LED glass partition that can be privatized upon request. The soft lighting and gray marble make it a relaxing and meditative sanctuary. 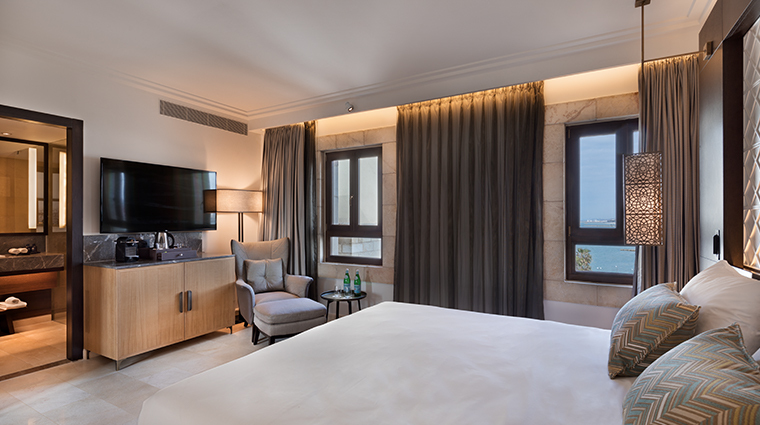 The attention to detail is evident everywhere, especially in the spacious king-size beds, rainfall showers, 49-inch TVs and professional laundry services. 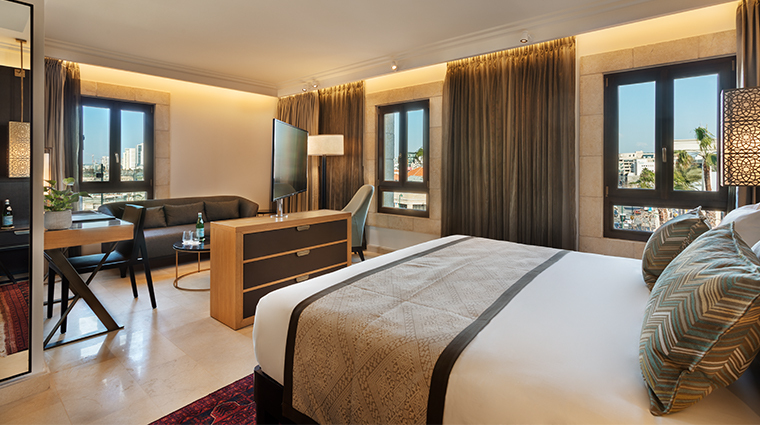 Techie touches, such as in-room iPads, make the spaces feel extra luxe. 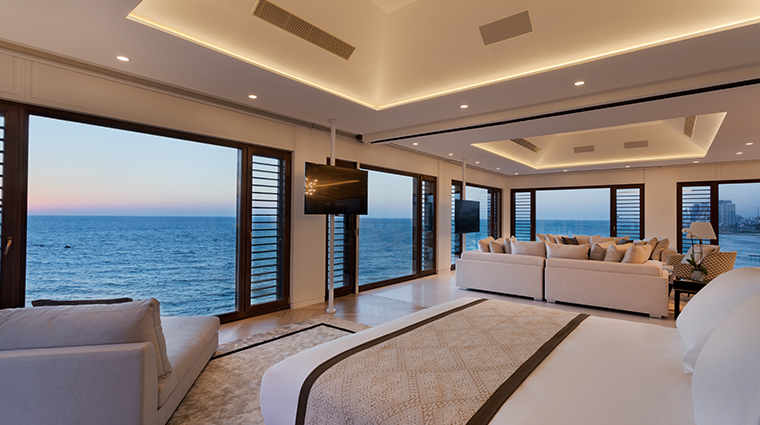 For the ultimate sea views, book the 1,290-square-foot Presidential Suite, a request-only accommodation with panoramic ocean vistas from floor-to-ceiling windows and a private balcony. 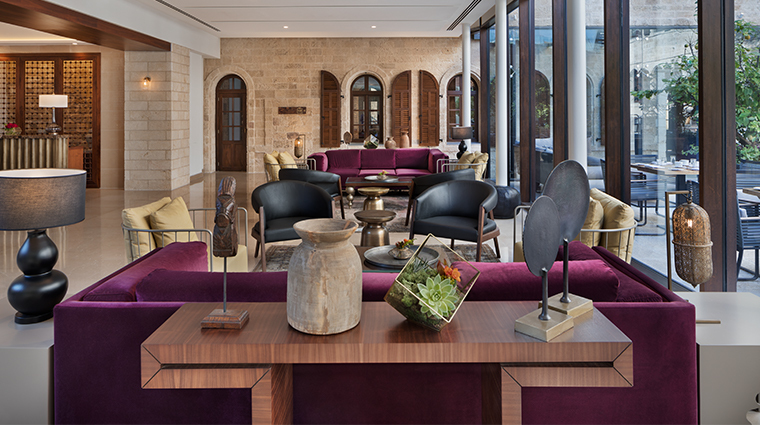 All the restaurants at The Setai are kosher, which is a something of a rarity in Jaffa hotels. Menus blend local Israeli food culture with the property’s Turkish roots to create a uniquely Mediterranean cuisine. Jaya, the hotel’s signature restaurant, is a delicious dinner option, but the dairy breakfast buffet is downright lavish. The kosher offerings include shakshuka (eggs baked in tomato sauce), fresh-from-the-oven breads and cakes, and a huge assortment of salads, cheese and eggs — it’s an Israeli feast. The Kishle Bar is a stylish spot to enjoy craft cocktails and a generous international wine list with a robust selection of Israeli vintages. Please click the checkbox to complete your sign-up. ©2019 THE FIVE STAR TRAVEL CORPORATION. ALL RIGHTS RESERVED. FORBES IS A REGISTERED TRADEMARK OF FORBES LLC USED UNDER LICENSE BY THE FIVE STAR TRAVEL CORPORATION. Do you represent a luxury hotel, restaurant or spa? Click to learn about our exceptional industry services.